Carmel Ocean Avenue in Monterey Peninsula | Sotheby's International Realty, Inc.
Carmel-by-the-Sea was founded as an enclave for artists around the turn of the century and remains true to its bohemian roots today, located on the southern side of the Monterey Peninsula Golf Links to the north and the breathtaking Big Sur coastline to the south. With its idyllic location, its pristine beaches and a downtown with first-rate dining, shopping and charming inns, Carmel is a haven for both visitors and locals alike. 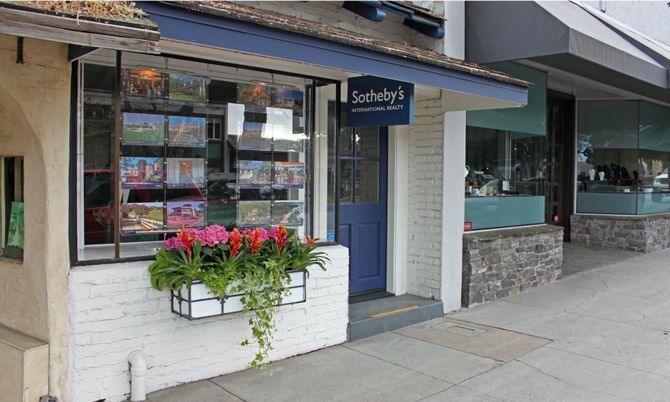 The streets meander through town, frequently twisting and turning to make room for trees, and with no streetlights or sidewalks outside of downtown, the cottage-style Carmel-by-the-Sea real estate gives the distinct feel of an old European village. Properties located on Scenic Boulevard, the street that runs along Carmel Bay, boast amazing water views, and many other homes have good ocean views.